"Jen Rose is a modern day alchemist of love. Her devotional and heartfelt performance opened my heart in ways it hadn't done in a long time. 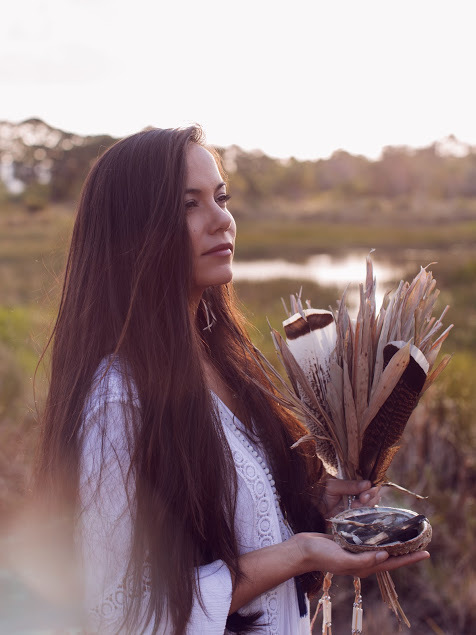 She is an amazing artist and gifted shamanic healer." "I have had the extreme pleasure of experiencing the music of Jen Rose on many occasions. Whether it was during one of her concerts or a yoga class her beautiful angelic voice always takes my spirit to new heights. I feel so blessed whenever I am in her presence as I feel she is indeed doing sacred work. The feeling of peaceful calmness that comes while she is singing is beyond measure whether it is her original mantra compositions or her original spiritual music. If you haven’t heard her song “Journey of the Soul,” you must check it out. She is a very talented singer, musician, songwriter and has a healing presence that just calls to you. Don’t miss her live events often combined with yoga or her musical recordings. She is a gem among the gems!" "Jen, I can't thank you enough, that was just incredible. It felt so personal as if you were singing and speaking directly to me and only to me. What a gift you have. I'm so grateful and humbled. Thank you!!! "Jen Rose has the voice of an angel! Her vocal range is divine!" "Jen Rose before I woke up this morning I realized I was singing and humming the song you sang last night 'Journey of the Soul'. I love that those words were in my subconscious this morning. What a beautiful message to wake up to...powerful!" "Your voice made me weep. I had a huge break through. "Before this I was having trouble meditating. Tonight while you performed I meditated for the first time in months! I'm leaving right now to go home and meditate. Thank you!!" "Jen Rose, I cannot thank you enough again for another life altering experience last night. Your presence alone helps me see a deeper truth, let alone the beautiful, safe and sacred space you create, and the way you facilitate our gatherings overall. Thank you for letting us chatty ones speak when we needed and silenced us when our words were not. I am so grateful that I have found a home with you and the other goddesses in our gatherings. It is an honor and privilege to be so young and becoming so conscious and self aware. Thank you for the guidance and the love I didn't know were possible. (Our next gathering) couldn't come any sooner! Love you so much." "Jen's voice is so powerful. All I could do was listen in awe." Hi Jen, last night was amazing. I love your rawness, your truth, your heart, intentions and vulnerability was divine. "You're amazing ... Thank You for the Love & Wisdom you shared last night ... Your insight is so very inspiring .. I AM A GODDESS.... You are music, bless you & love you! I am grateful .. This life is the BEST LIFE! Woooooooo "
"Oh thank you so much! We absolutely loved having you and you added so much to the performance. It was a real pleasure working with you and the students really loved having you there. Have a restful evening! We truly appreciate you and your playing tonight"
"Jen Rose, last night's Goddess Gathering was very powerful. I felt very peaceful and empowered as well with my new intentions.Sending u much love and gratitude." "Thank You for serving our Goddess community!! I can't express how much you and your energy touches me. I truly know how important it is to have Feminine meditation circles and female support. It was very special last night with the fire, I love you Goddess! It meant so much to me your words of encouragement about continuing or moving forward in some spiritually leadership endeavor. You gave me added validation."